I have a confession; that some days I feel like Endora. Do you remember her? Well even if you don’t, you can tell by the look in her eye that she was always judging. She was usually judging her inept son in law Darren. It was a very funny show and if you haven’t already guessed I am talking about Bewitched!” Now I have to be honest, that I have always, much to my chagrin, judged my neighbors. Not for who they were, but for how they maintained their homes. I am sure you have in your own little way done this as well, though I can’t really say that many people I know have ever expressed this side of themselves to me. So maybe I am alone in my judginess but the following is something I have always wanted to do. Judge me as you will. I have always longed to have a note pad with boxes denoting infractions. I would see myself quickly tick off the appropriate box and before anyone would see me leave it in the mailbox. The note would appear anonymously, written with care, but to the point. The following is a brash version off the top of my head, because I would never do this, but every once in a while I wish I had a wand like Endora or a note pad to give my unwanted opinion. It is time to take down the Christmas wreath, it is past January. And while you are at it also put away the giant brown and completely deflated Turkey balloon. It is time to plant a few bushes along the base of your house to soften the transition between the ugly cement foundation and your yard. Which would probably be better said; if there is a way at this point. Planting a few bushes along the base of your home would highlight the beautiful exterior color. It really is a bad idea to park on your front lawn, the grass will die. If you put red geraniums in-front of your white house instead of the white you chose, they wouldn’t be lost. Too many small flags along the walk way is overkill, stick with one. Too many hanging plants that have died a while ago need to be replaced. (HOW Can people look at them) sorry I digress, though I suppose I am already there. I know this is judgey and it would mean that I am perfect. None of us is perfect but like Endora I like to make the home look cared for and lovely to return home to each day. I also think having a nice home is a courtesy we can offer our neighbors. I have spilled my beans, and I hope you don’t hate me, and perhaps you laughed a bit. 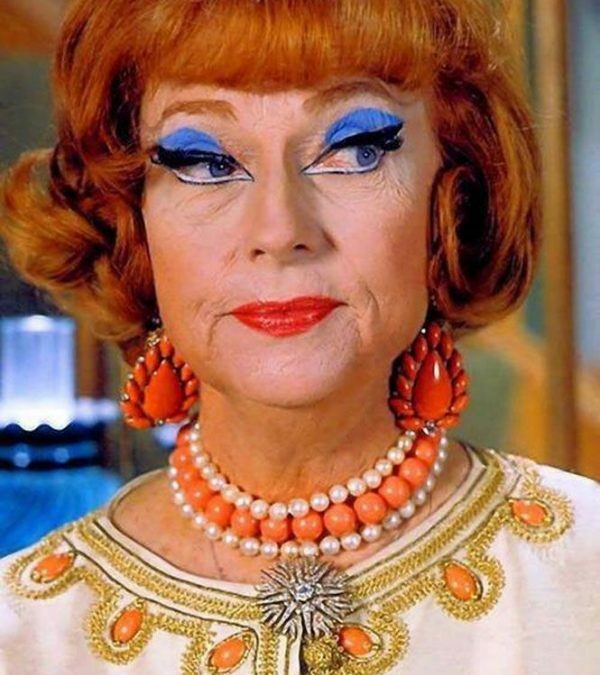 But when I saw Endora’s judgey face, I thought, well I can relate! Cynthia Riegle is the owner of Riegle Home Staging & design. She is committed to helping real estate agents and homeowners sell their properties for the best return of investment in the Charlottesville, Virginia area. You are not alone! (as she twitches her nose!) LOL! Thanks Kathy! I couldn’t resist when I saw this picture of her. I always thought she was right! Well said Cynthia. You speak the truth and yes I got a few chuckles. I have a neighbor that can’t get enough lawn decorations. I am waiting for the turkey balloon to go up ? Thanks Trudy! I am glad someone read it!